Want to meet new frugal bloggers and win cash and prizes at the same time? We are going to participate in a “Dash 4 Cash” Facebook challenge that will do both! We will have a list of our frugal blogger that are on Twitter. Follow as many of them as possible to win! Head over to my Facebook page before 6 PM PST Friday August 19th. Click on the Dash 4 Cash tab on the far left side. You can start now by following as many bloggers on the list. Check back here on Monday August 22nd to see if you are a winner! 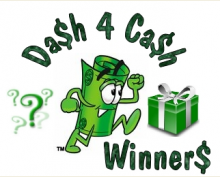 Giveaways Aug 17, 2011 in Dash4Cash · Expired! 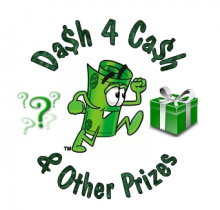 If you participated in Dash 4 Cash the winners have been selected! We had so much fun playing with all of you the other night, and are glad you chose to play. I didn’t get a chance to tell you guys about it, but please join us for next week’s dash. I’ll be telling you all about it very soon. 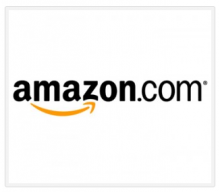 It’s your chance to win great giveaways and meet other frugal bloggers!